How are you on this wonderful day? You know what I realized last week - I totally forgot about our UFO's! Are you still going strong with yours? I was able to finish one last month - my barn quilt! I'll show you all a pic next week. If you are sewing along let's work on numbers 2 & 5! 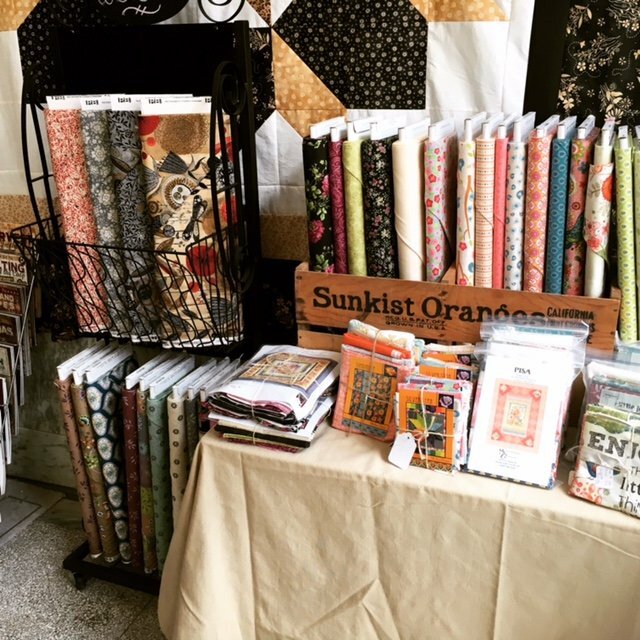 Don't forget to show us your progress using #SewBlessed. Enough about UFO's let's get to what's NEW and happening today! 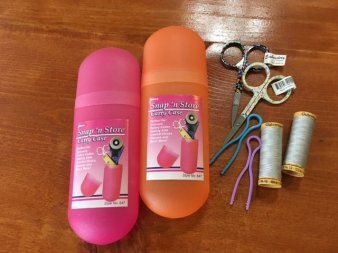 Congrats to Shauna Stanton for winning our Mother's Day sewing bundle for 2! Be sure to keep watching our Facebook & Instagram for more fun store happenings! There is still room to join us in a next week for a fun evening! 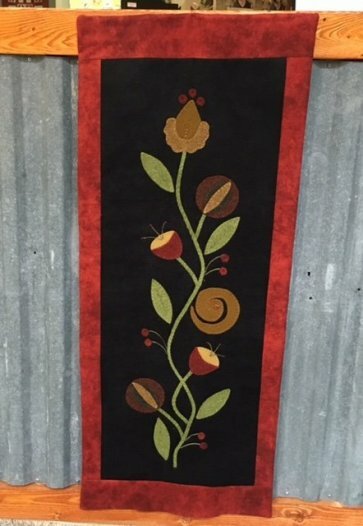 This is the perfect class to learn about wool applique if you have interest but are too scared to do it alone! We still have 3 seats open for anyone interested! Our June class is scheduled and the sample is underway! 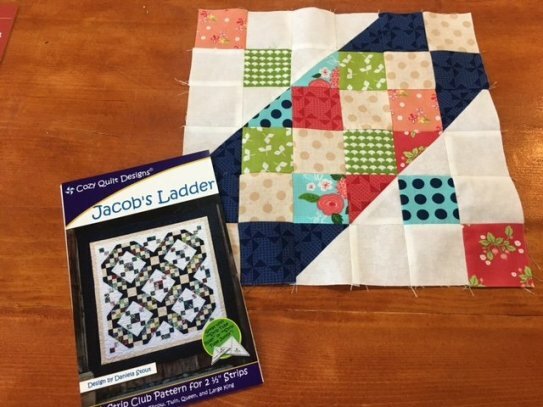 Check out this fun quilt - Jacob's Ladder - using the strip tube ruler. Feeling a little whimsical? 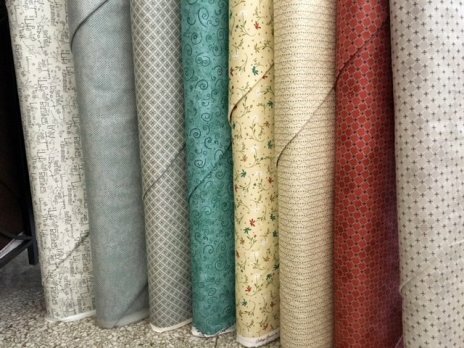 Check out these NEW whimsical fabrics from Red Rooster. I'm thinking a fun and easy Villa Rosa pattern will be great with these! Hey Woolie Girls tomorrow is our day! Meet in the 3rd floor training room! Bring a project, bring a friend! Newbies always welcome!! And check out this gorgeous NEW kit Seeds to Blooms! Well I best get to my to-do list for the day! 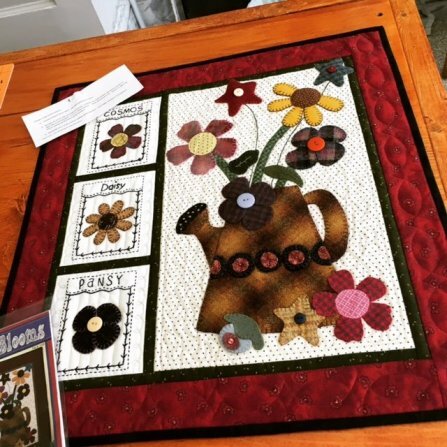 I'm working out the bugs on a pieced/appliqued BOM program! Watch for a sneak peek on our Facebook & Instagram soon! Have a wonderful weekend and enjoy the cooler weather.